Email your name, contact information (tel number or email address) with brief request and we will confirm within 24 hours. In the rare chance of system failure, please retry if there is no response within that time frame. 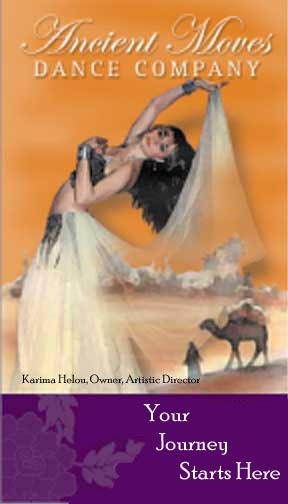 Relevant Genre: "Belly Dance Info"
Check out Keti's Web Site here! NOTE: If you know Karima and the Ancient Moves Dance Company, are a professional in this art form, and would like to be included as a reference on this page, please drop us a line!! !